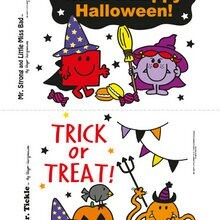 Hellokids has many fun Halloween invitations and stationary for you to choose from in this section. You will find the perfect invitation to color and print to entice your ghoulish friends to come to your Halloween party, parade, haunted house, fall festival or to join you for trick or treating. It is fun to have a theme party! You could have a Monster High party and request your invited guests dress up as their favorite Monster High character: Draculaura, Clio de Nile, Frankie Stein, Duece Gorgon, Clawd or Clawdine Wolf. 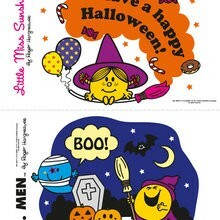 You could even choose the party theme "Mr. Men and Little Miss" and each guest can come as their favorite personality. 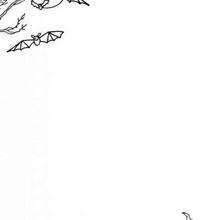 There are many other monster invitations to choose and color: Cat, pumpkin, ghost, skeleton, vampire, Frankenstein and trick or treaters. If you would rather write your own invitation there are several stationary sheets to color and print too. Make your party the Spooktacular event of the year. 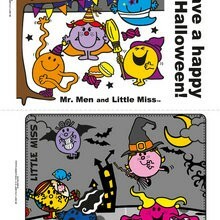 You can choose one of the many monstrous Halloween party invitations printables for your enchanted Halloween party. 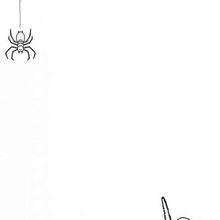 Your personal Halloween invitations are a very important aspects of your Halloween party and are the best way to get your friends excited about your Halloween bash. 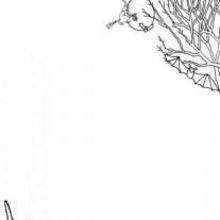 Choose your Halloween party invitation coloring page, print, use your best Halloween colors to decorate your invitation, cut, fold and pass out to your friends and family. 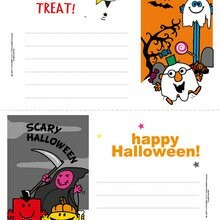 You can also color your Halloween invitation online, save to your computer and print. Our ghoulish assortment of online coloring Halloween party invitations are a creative way to invite your friends and family to a fun Halloween celebration.